Spray Mag is a magazine style free blogger template. 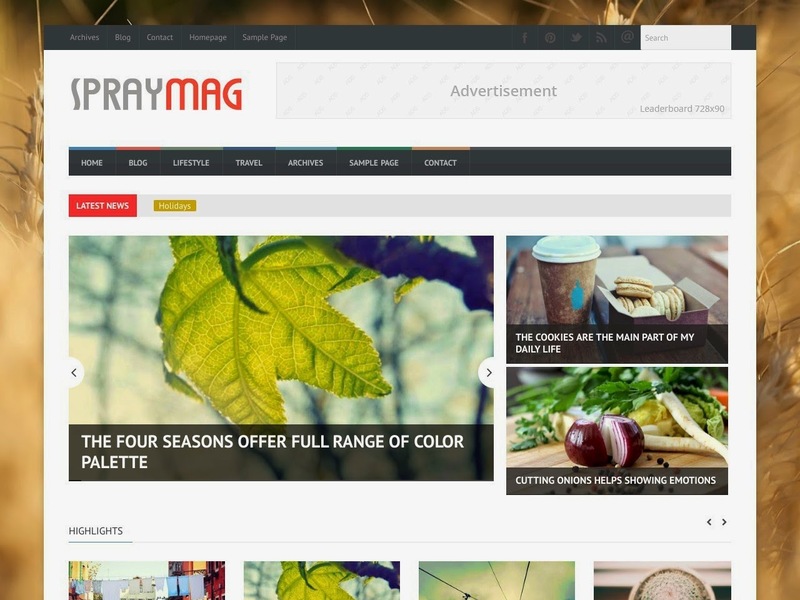 Spraymag is a clean and modern blogger template which is suitable formagazines, newspapers and the blog websites. Spraymag blogger template is very flexible and super easy to use. Spraymag is completely responsive and fast loading blogger template. Spraymag comes packed with a lot of features like featured slider, Carousel, Featured Posts and a lot more.